Move over designer labels. Hello, exclusive store brands. From clothing to health care to pet food, retailers are experiencing higher sales and brand loyalty among their exclusive store brands. Success of store brands among retailers including Target, Publix, and PetSmart may indicate a solid yes. 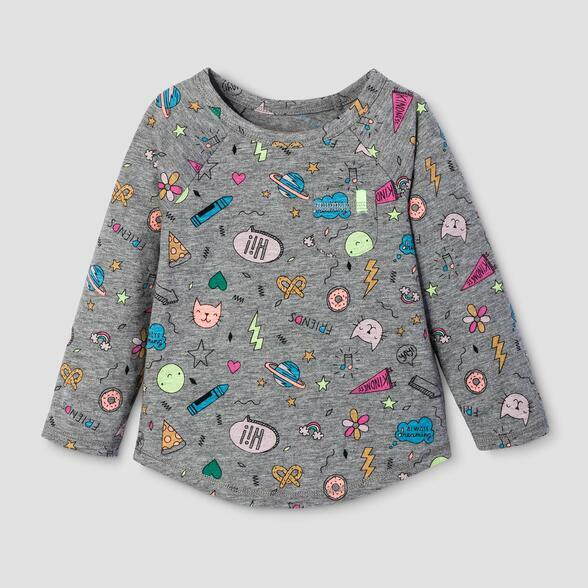 Last year, Target launched an exclusive kids’ apparel line called Cat & Jack, which has since grown as a leader in the U.S. kids’ apparel industry. The brand not only yielded strong sales and customer loyalty, but also contributed to higher basket size and stronger overall preference in Target. Mark Tritton, Target’s executive VP and Chief Merchandising Officer, describes how the launch and continued development of the Cat & Jack line has transformed the in-store customer experience as well. Tritton says, “It’s how we bring the brand to life for our guests in stores, digitally and in our marketing, so that at every touchpoint, our guests understand that this brand’s not just new—it’s created especially for them.” may indicate a solid yes. Publix supermarkets, consistently ranked as a top retailer, has experienced similar success among its private label offerings, including dry goods, frozen foods, paper & cleaning supplies, and wellness products. According to Retail Customer Experience, more than 80 percent of consumers, which is 10 points higher than the industry average, say they trust Publix store brands, feel items are made for them, and would recommend the Publix brand to others. These results may be due to the fact that Publix has worked to differentiate itself in terms of service, quality, and price—three elements the company has also built into its development of private label offerings. In a recent podcast with Store Brands Editor-in-Chief Lawrence Aylward, digital grocery expert Chris Bryson echoed the increasing advantage for retailers to develop and market private brands, citing another top grocer, Whole Foods, as an example. This differentiation may also play a significant role in the success experienced by PetSmart. While 9 out of 10 consumers praise PetSmart for always having the products consumers want in stock, a more interesting statistic is related to PetSmart’s private brand items. Retail Customer Experience also reports that 70 percent say they would make a special trip to the store for PetSmart private brand items, versus the national average of less than 50 percent. As the retail landscape continues to shift along e-commerce and demographic faultlines, retailers may find higher ground in curating unique offerings to differentiate, build loyalty, and increase sales. As CSA reports on Target’s transformative store brand experience, when retailers use their new brands to reimagine stores and meet customers’ needs, customer experience and company performance work together toward improving the bottom line.